For many years sheet vinyl has been the most popular choice for kitchens. The cleanability and hygiene of sheet vinyl makes it a great choice and also a very affordable one too. Modern vinyl flooring mimics many natural style of wood and stone. With ranges from top UK and European manufacturers in our showroom, showing over 200 individual decors, you will be sure to find a design to suit your Kitchen. An LVT (Luxury vinyl tile) floorcovering is one of the most creative and versatile floorcoverings you can choose for a kitchen or bathroom. 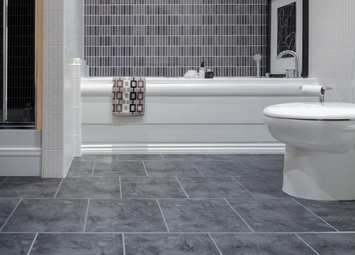 With tile effects in slate, stone and contemporary design themes, all laid as individual pieces and many opportunities for bespoke design, the only limit with an LVT floor is your imagination. 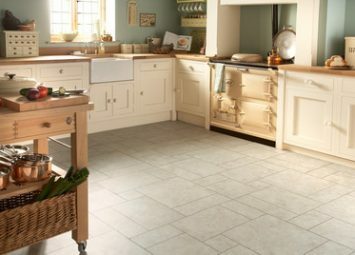 An LVT (Luxury vinyl tile) floorcovering is one of the most durable and versatile floorcoverings you can choose for a kitchen and bathroom, with designs beautifully mimicking authentic wood planks available from top manufacturers such as Moduleo, Karndean & Camaro, there is a beautiful array of styles to choose from. 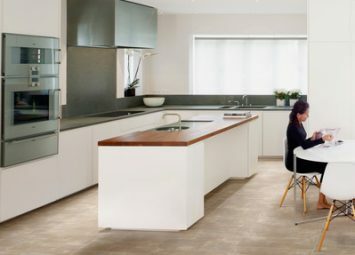 Although not usually thought of as the most practical choice, if properly cared for an engineered oak flooring can be a beautiful, natural and long lasting choice for a kitchen. 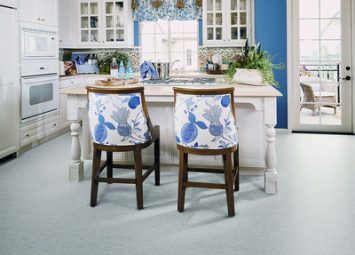 Modern engineered floors feature advances in technology on surface protection making it more suitable than ever before. 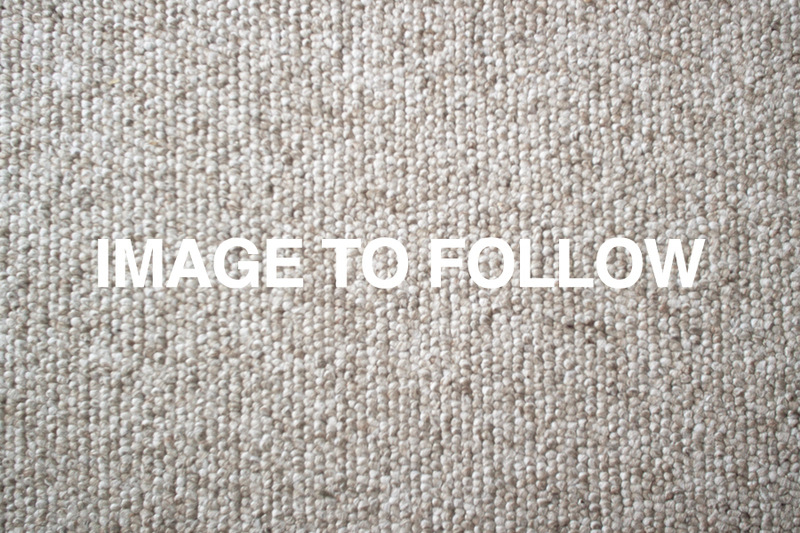 Carpet tiles are a warm, comfortable, quite and cost effective choice for a kitchen, they can be removed individually for replacement if they get stained and as they are primarily designed for the commercial sector tend to offer very good wear characteristics. 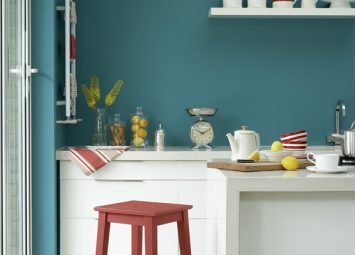 Formulated to resist moisture, staining and general wear and tear, Little Greene's Intelligent Matt & Eggshell finishes have a tough yet subtle finish that is a superb choice for kitchen & bathroom walls. 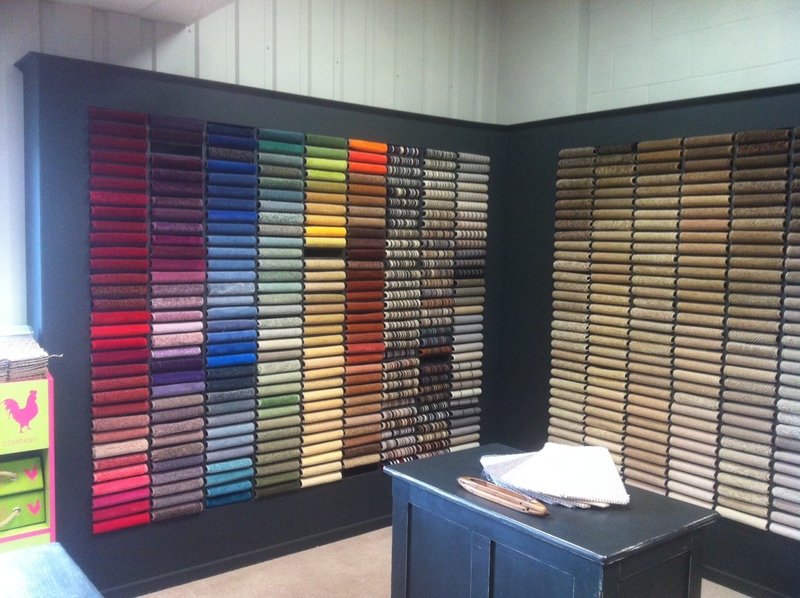 With almost 200 shades on display you will be sure to find the perfect colour for you kitchen or bathroom.